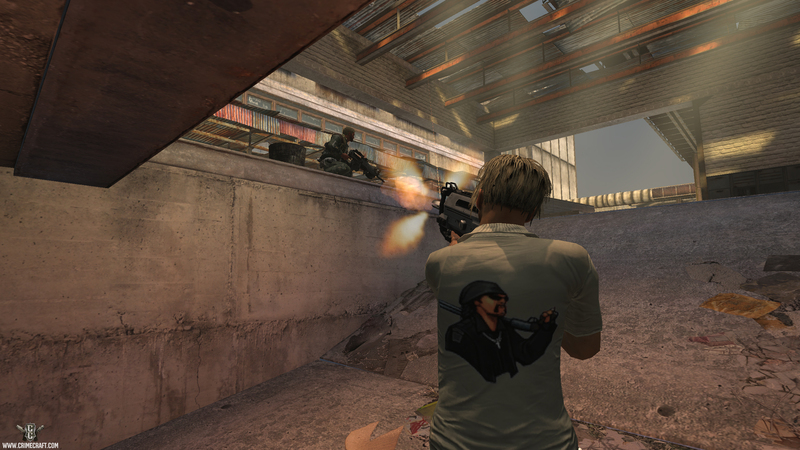 Vogster Online has announced the second major expansion to its free-to-play online shooter CrimeCraft. CrimeCraft GangWars, coming in early December, is set in the bloody aftermath of the Bleedout Campaign and the destruction of the Scorpion Chamber, the governing body of Sunrise City. Gangs now fight for control of the city. The centerpiece of the update is the new Territory Wars feature that pits gangs in combat for control of lobbies and instances. Gangs generate cash and get bonuses for the regions they control, but they must constantly defend their territory from rivals. GangWars also delivers significant changes geared towards new players including an updated, optional prologue campaign and lobby-based guidance to help new users find their way around Sunrise City. These features are all designed to get new players into the action faster than ever before. · Quickplay – Access CrimeCraft’s core gameplay features through a simplified interface that lets you shortcut RPG gameplay and get right to the action. Players can switch between the streamlined Quickplay experience and the fully featured lobbies with the click of a button. · Class Profiles – Experience immediate and intense combat action using over 20 distinct profiles, each providing all necessary equipment including weapons, clothing, ammo, boosts, abilities and AUGs. · Unique Game Mode – Core Annihilation is an epic game mode that blends PvP and PvE combat. Players cooperate with AI controlled soldiers to destroy an opponent’s core while protecting their own. · New Turf – La’Famiglia Compound, a 6-16 player combat zone, is the epitome of lavish luxury and criminal greed… a mansion every gang dreams of controlling. The expansion is currently set for an early December release.